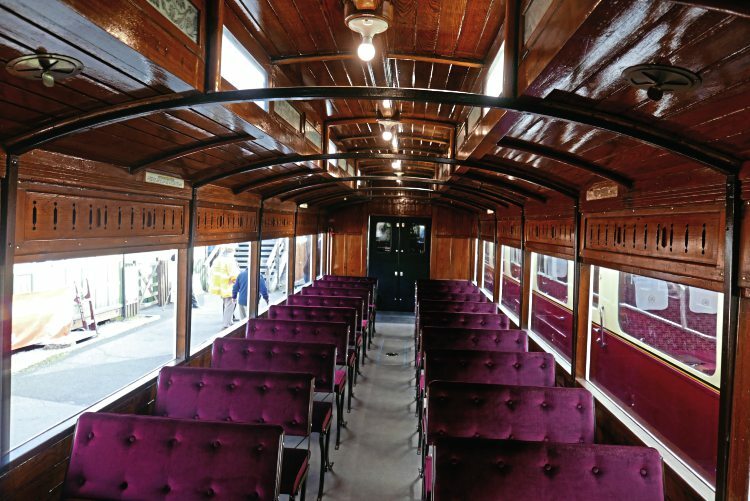 October 19, 2018, will be indelibly etched in the annals of heritage railway history after the world’s first internal combustion-powered passenger vehicle gave its first rides in 88 years. NER petrol-electric autocar No. 3170 may be viewed as important as Stephenson’s Rocket in the evolution of rail travel – but it was the train the world forgot until ‘rediscovered’ by expert coach restorer Stephen Middleton, reports Robin Jones. Stephenson’s Rocket is a household name, like Flying Scotsman. Rainhill Trials winner Rocket became the blueprint for all future steam locomotive development, 25 years after Richard Trevithick gave the first demonstration of a railway locomotive. Both Rocket and Trevithick’s 1804 locomotive are world transport history landmarks cast in iron and set in stone, and both have been the subject of working replicas. Not so another ground-breaking traction item, in the form of the world’s first passenger vehicle powered by an internal combustion engine, and therefore the ancestor of most of the world’s trains today. Half a century ahead of its time in 1903, astonishingly it escaped the attention of museum curators, enthusiasts and preservationists for seven decades after withdrawal. When vintage coach restorer Stephen Middleton realised its phenomenal value and rescued it from a North Yorkshire field 15 years ago, very few would have believed that one day it could be even cosmetically restored, yet alone carry passengers again. Yet this has now happened, and in a real-life Mission Impossible scenario, North Eastern Railway petrol-electric autocar No. 3170 has not only been restored to pristine condition that wows everyone who sees it, but has re-entered traffic at its home on the Embsay & Bolton Abbey Steam Railway. Friday, October 19, was a day most railway historians can only dream about. It was then that this key missing link between the steam era and the age of modern traction was relaunched into traffic, and another defining pinnacle of preservation was witnessed. 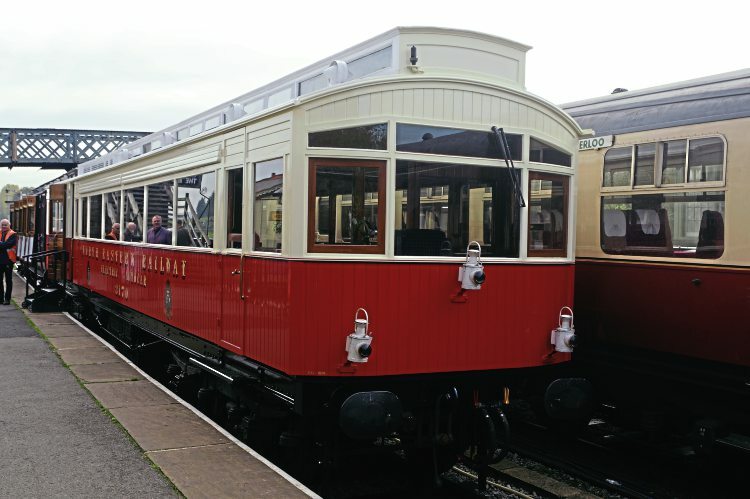 Resplendent in its NER red and cream livery, the clerestory-roofed antique vehicle could so easily have been part of a Walt Disney fantasy film set re-creating a period long before living memory. A first glance reveals that it clearly does not belong in the realm of living memory. Personally speaking, the beautifully rebuilt vehicle and its matching trailer are, both inside and out, in terms of its restoration far too wonderful for words. Of immense heritage and educational value, a key dimension of global railway history has come back to life in sharp relief. Read more and view more images in Issue 248 of HR – on sale now!